Find Cottages, Lodges & Log Cabins, Apartments in Cheshire. Find Cottages, Lodges & Log Cabins, Apartments in Derbyshire. Find Cottages, Lodges & Log Cabins, Apartments in Gloucestershire. 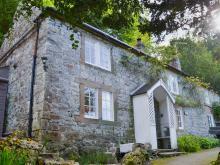 Find Cottages, Lodges & Log Cabins, Apartments in Herefordshire. Find Cottages, Lodges & Log Cabins, Apartments in Leicestershire. Find Cottages, Lodges & Log Cabins, Apartments in Nottinghamshire. Find Cottages, Lodges & Log Cabins, Apartments in Oxfordshire. Find Cottages, Apartments in Rutland. Find Cottages, Lodges & Log Cabins, Apartments in Shropshire. Find Cottages, Lodges & Log Cabins, Apartments in Staffordshire. Find Cottages, Lodges & Log Cabins, Apartments in Warwickshire. 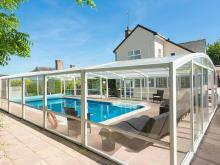 Find Cottages, Apartments in West Midlands. Find Cottages, Lodges & Log Cabins, Apartments in Worcestershire.